HomeObi-Wan Getting His Own Trilogy? Obi-Wan Getting His Own Trilogy? 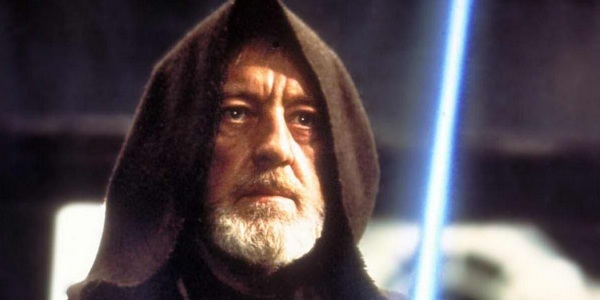 According to Cinelinx, a source is reporting that Disney/Lucas Films may be developing an Obi-Wan Kenobi film trilogy. Rather than a three-part story, these would be three films with separate stories. Taking place between Episodes III and IV, the films would be set on Tatooine and other worlds. They could also feature Owen Lars and characters from the Clone Wars television series. This intrigues me, but one crucial piece of info is missing here – who plays Obi-Wan? Ewan McGregor took a trio of lackluster scripts from George Lucas and did his best to make them sound like masterpieces. While the writing did force him to sound stiff at times, he was the brightest spot in a trilogy that has often been criticized for its ridiculous dialogue, especially in scenes that required any emotion (“Oh Ani, you’re breaking my heart” and “Noooooooooooo?”). Whether or not I see these new films won’t rest solely on the presence of McGregor, but in my mind only two people are Obi-Wan Kenobi, and Ewan McGregor is one of them. As unfair as it would be for an actor to come onto a set and attempt to fill the Jedi Knight boots of Sir Alec Guiness and Ewan McGregor, it’s just as unfair to the fans to accept a third person when the previous set a new bar for the role. ← Episode 5: October TV! I think the prequels *should* have been Obi-Wan’s own trilogy.